Despite its off-track problems, Formula Atlantic continued to be the most competitive form of racing in the US. Leading drivers in the 1979 series included 1978 champion Howdy Holmes in Doug Shierson's quasi-works March 79B, Kevin Cogan in an underfinanced Brian Robertson Ralt RT1, the equally hard up Bob Earl in another RT1, Jeff Wood in a March, and 31-year old journeyman driver Tom Gloy who had acquired backing from Joe Lane for a well-funded and professional set up led by ex-Shierson mechanic Graeme Donaldson and with a pair of new Ralt RT1s. All five drivers won races but Cogan appeared the quickest, only for reliability and impetuosity to let him down. Gloy doggedly finished second five times and took the title at the final race. In marque terms, 1979 was an even match between Ralt and March with the Ralt having the edge on wins and pole positions and March having the edge on numbers. However, Chevron were just about finished in Atlantic, the B49 wing car attracting little interest. See also Gordon Kirby's seasonal survey in Autosport 24 Jan 1980 pp44-47. 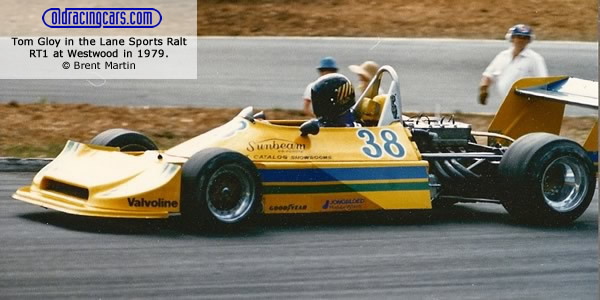 The SCCA displayed little enthusiasm for Atlantic, fearing it would distract from their new Can-Am but races were organised in the US at Road America and Bridgehampton as well as the feature race at Long Beach. A race in Mexico and six in Canada completed the ten-race series. Doug Shierson had taken over distribution of the Cosworth BDN, the price of which now included $1,500 (down from £3,000 in 1978) to top up the prize fund. In 1980, this arrangement would be changed to the chassis instead of the engine. During the season, CASC and the SCCA signed a deal with Chris Pook's Sports Consultants International to take over promotion of the series. Although still sanctioned by CASC, Brian Turner of SCI would act as series promoter in 1980. Pook also arranged a Driver-to-Europe programme with F1 promoter Bernie Ecclestone.